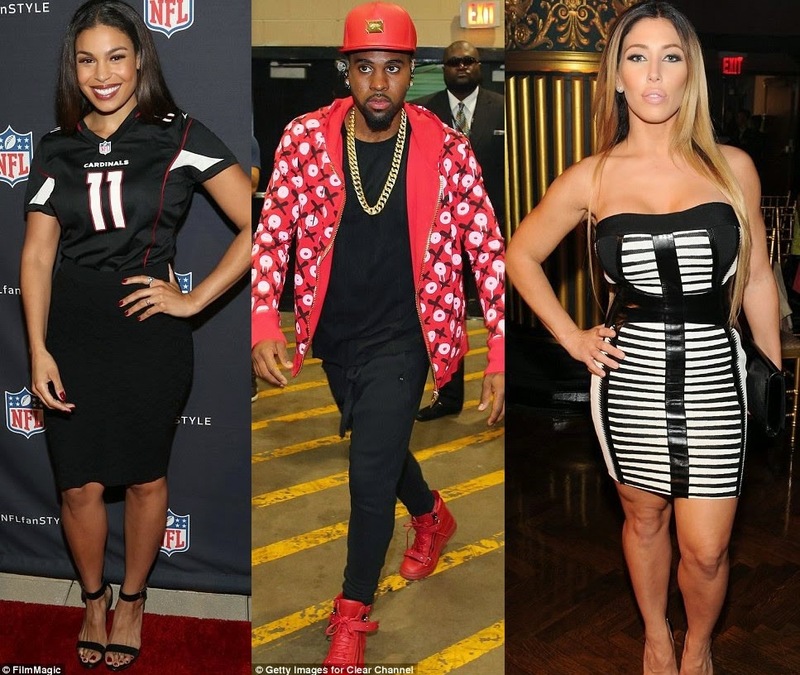 Carmen Ortega claims Jason Derulo cheated on Jordin Sparks, who he split with in late September after a three year relationship. The model alleges she had an affair with the Talk Dirty singer while he was still engaged to Sparks. Ortega, however, told Star Magazine that she was unaware of Derulo's relationship status and thought he was single during her fling with him. The 30-year-old beauty told the publication she met the 25-year-old last summer at a Los Angeles recording studio. Once she learned that Derulo was dating Sparks, Ortega claims to have taken swift action: 'I cut ties with him immediately. 'He tried telling me their relationship was strictly fueled by management teams. Ortega has previously made similar assertions when she claimed in 2009 to have had an affair with Reggie Bush while he was still dating Kim Kardashian. But Jordin painted a different, much more heartbreaking picture on Friday afternoon. After breakup reports initially started doing the rounds on Thursday morning, the 25-year-old singer confirmed the news during a radio interview with KDWB in Minneapolis that afternoon. And while he admitted that the long-time couple have indeed parted ways, he insisted there is no bad blood between them. 'Everything is cool man. It's not a bad situation, it's not one of those kinds of things,' he said. According to People, the couple ended their relationship after spending the past few weeks apart. Jordin and Jason were last seen being affectionate with each other at the MTV Video Music Awards in Los Angeles on August 24. 'They were loving each other's company as they sat in the front row and danced together,' an eyewitness told the site. They were also seen with their arms around each other on the red carpet. But things looked off for the pair when Derulo partied with Jamie Foxx and Robin Thicke at his friend Richie Akiva's birthday party at 1OAK in Los Angeles on September 18. Jordin was nowhere in sight. The following day, she followed it up with the new that she had just written 'the saddest song of my life', tipping off followers that she may have split from the Talk Dirty singer. On Wednesday, she tweeted: 'Stu. Di. O.' making it clear she was recording new music. She has yet to tweet about the split. The split has certainly come as a shock to many, with the couple almost inseparable since going public with their romance in January 2012, having been together since September 2011. While their relationship may have not gone the distance, E! Online reports that the decision to end things was 'mutual' and that they pair still 'care very deeply for each other and will remain in each other's lives as friends'. Just last year, rumours went into overdrive that the cosy couple were headed for the altar after Jason wrote the song Marry Me, inspired by his girlfriend. 'It is about Jordin, actually,' he confirmed to E! News at the time. 'And it's talking about how amazing it will be when I get down on one knee and it will be the greatest moment of my life. 'You can't fake anything because true love is true love, and that's the basis of our relationship,' he gushed.